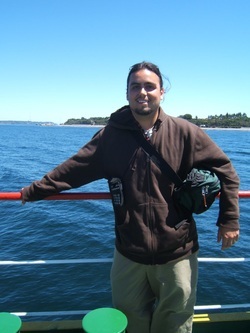 Pablo Kee Cornejo-Warner graduated from the University of Colorado at Boulder in 2006 with a degree in civil engineering. As an undergraduate, his primary areas of interest were water resources and the environment. Subsequently, he conducted research on point-of-use ceramic water filters used in developing communities. He was also involved in an Engineers without Borders project in Nicaragua and studied abroad in Brazil, where he learned to speak Portuguese. After working in the field for a couple of years and becoming EIT certified, he decided to return to school to obtain his Master’s degree. When he found out about the Master’s International Program at USF, he seemingly found the perfect fit for his interest in humanitarian-based work and engineering.